It takes more than one language to make the International Festival, and more than one way of speaking it. Get to know the performance poetry that has inspired parts of the programme this August. The words of Scots Makar Jackie Kay in her poem Threshold ring true for the International Festival this year and every year. Hear her reading an extract of the poem in the video above. Named “Scotland’s favourite avant-garde noise-makers” by The Skinny, Neu! Reekie! have been blurring the boundaries between spoken word, animation, film, and music for almost a decade. Their cabaret-style shows have attracted regular collaborators like Scotland’s Makar Jackie Kay, classical/pop soprano Charlotte Church, and Edinburgh’s hip hop export Young Fathers – all united by their tendency to disregard traditional genre definitions and critique mainstream politics. The duo have curated two special evenings on 12 and 17 August for Light on the Shore with Edinburgh Gin Seaside that reflect their dissenting and playful approach to art. 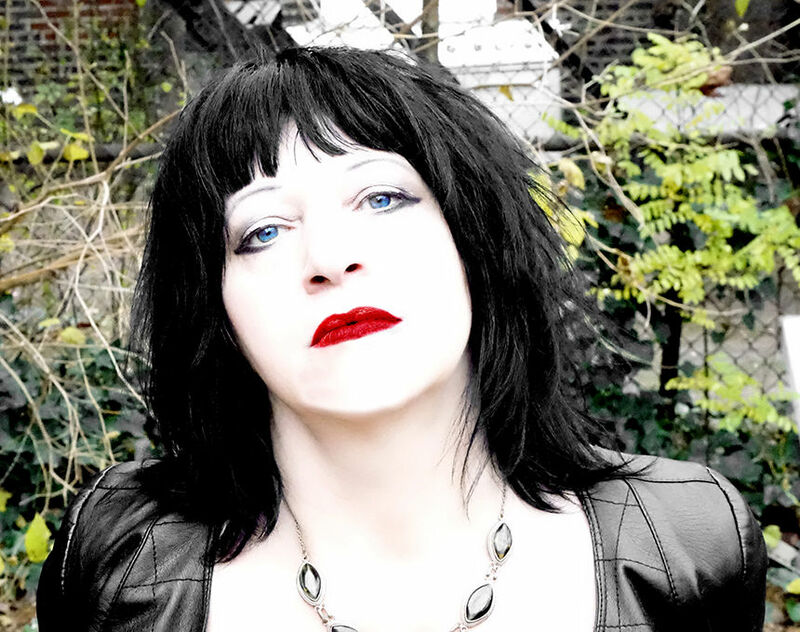 Lydia Lunch is a singer, actress, and poet who made her name as a no wave icon in 1970s New York. Her career has been virulently anti-commercial, her art articulating what she saw as a nationwide nihilism following “the lie of the Summer of Love into Charles Manson and the Vietnam War”. Lunch hosted the spoken word night “The Unhappy Night” at the Parlour Club, and in 1990 recorded her seminal spoken word album Conspiracy of Women (“COW for short”). In her trademark confrontational style, Lunch attacked violence against women and wars between nations in equal measure, drawing frequent links between the two in her play on language. In 2015, the electronic music composer Nicholas Jaar released a remix of one of the tracks, “Why, Why Was I Born an American?”, under the new title “American Invasion”. Lunch’s fascinating life to date is now being collated into a new documentary entitled The War is Never Over. She will be part of Neu! Reekie! 's first curated evening on 12 August. Joining Neu! Reekie! 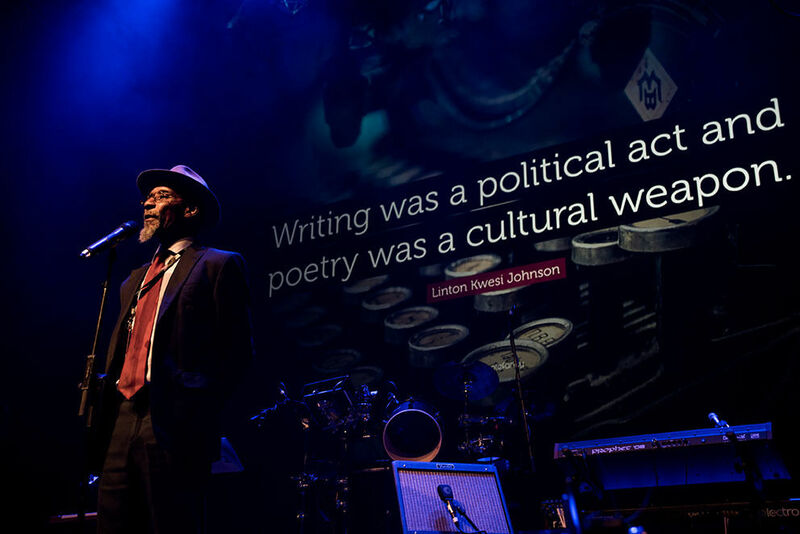 in Leith Theatre on 17 August is Linton Kwesi Johnson, the lauded father of “dub poetry”. Now considered a significant precursor to rap, Kwesi Johnson coined the term to describe how reggae deejays recited words over music in the 1970s. The staccato rhythms of reggae make a smooth complement to the metre in his verse, emphasising that it is writing designed to be spoken out loud. It is poetry for protest – a “cultural weapon”, as Kwesi Johnson described it to an interviewer in 2008, delivered in patois in direct defiance of a predominantly white literary Canon. In 2002, he became the first black poet to be included in the Penguin Modern Classics Series, and in 2012 English PEN awarded him the Golden PEN Award of lifetime literary achievement. Kwesi Johnson can be credited as being instrumental in cutting through cultural biases that have discredited and suppressed Black British culture in the past. In L-E-V Dance Company’s Love Cycle: OCD, choreographer Sharon Eyal draws a line between romantic passion and obsessive-compulsive disorder. The concept was inspired by Neil Hilborn’s slam poetry piece “OCD”, which went viral when it was released on Button Poetry’s YouTube channel in 2013. In the poem, Hilborn performs a semi-autobiographical poem about the pressures of maintaining a relationship whilst also managing a mental illness. At first, his quirks are endearing to his partner, but they eventually become a source of dissonance until the pair finally split. The poem struck a chord with viewers, who commended Hilborn on so effectively conveying the pain of a love that breaks down because of some irremovable part of oneself. The video had gained more than 62 million views by 2017, making Hilborn the most watched slam poet on the internet. L-E-V Dance Company will perform Love Cycle: OCD on 9-11 August, and a related standalone piece titled Love Chapter 2 on 10-12 August.